In recent years, the kitchen island has grown in popularity, and is now often considered an essential design feature of any modern kitchen. 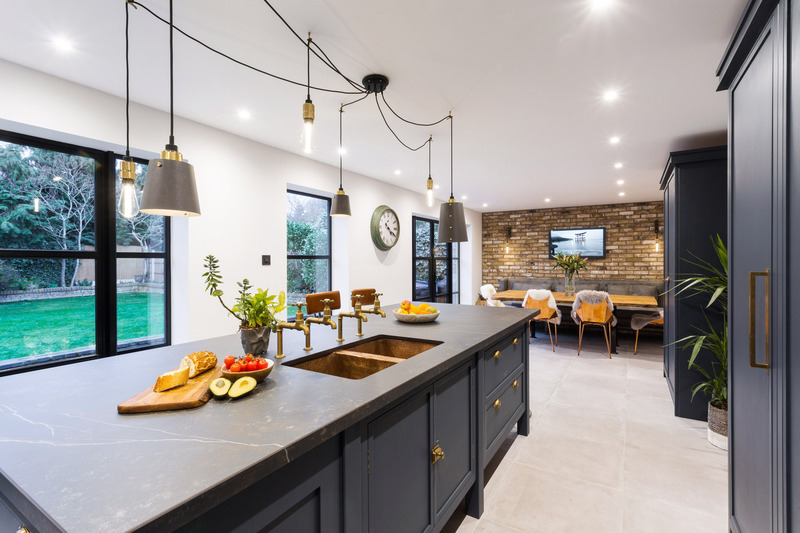 Whether you want to create additional worktop and storage space, incorporate a breakfast bar and somewhere to congregate, or even to simply create zones within a large open-plan space, there are so many reasons to want an island in your new kitchen. 1- Create a galley kitchen by running a kitchen island parallel to the main run of cabinetry. 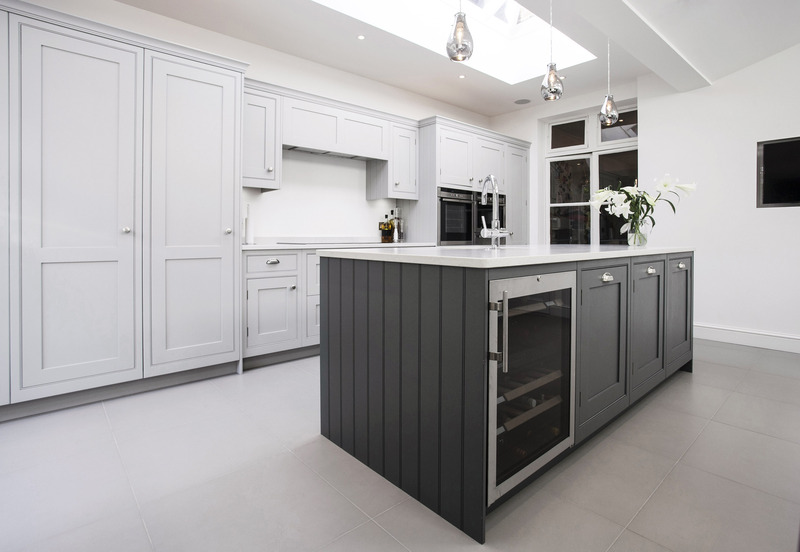 In a large, open-plan kitchen, a kitchen island is the perfect solution to dividing up the space, as well as providing additional worktop and storage space too. 2 - Curve the corners to create a better flow. A kitchen island with rounded edges is ideal for a smaller kitchen and creates a much better flow around the workspace, as there are no sharp edges to catch against as you manoeuvre around the room. 3- Create a multi-functioning work space. A kitchen island that serves a multitude of purposes is super useful - a place to wash and prep food, lots of storage space, integrated rubbish and recycling bins and a neat raised breakfast bar area with tucked-under stools. There is plenty of space to add a hob if you wanted, too. If you have the space, do not be afraid to use it!! This multi-functioning island in Underriver, Sevenoaks, has everything, including the kitchen sink! There is lots of available space to prep food, an abundance of storage and even an integrated dining area too. 5 - Create a better 'working triangle' in an expansive kitchen space. Bridge the gap between the cabinetry in a large kitchen space with a central kitchen island, and create a much more user-friendly 'working triangle'. 6- Integrate a wine fridge with your kitchen island. 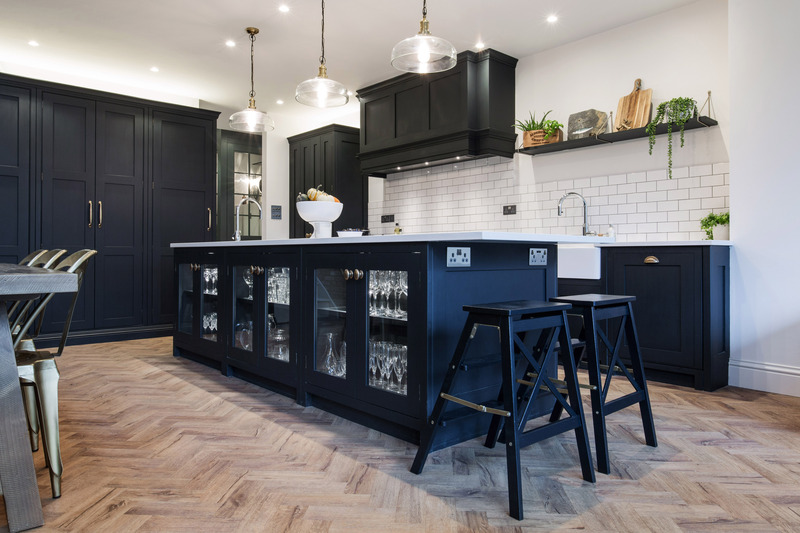 An under counter wine cooler is a great addition to a large workspace, and means family and guests can help themselves to drinks when entertaining, without disturbing the chef! It can also be used to store fresh food such as fruit, vegetables and salads too, for quick and easy meal preparation. 7- Create a lovely focal point to your kitchen with glass fronted doors. Not only does an island provide additional storage space, by opting for glass front cabinetry you can create a lovely focal point to the room by displaying your glassware and crockery. It also means they are within easy reach for guests too! 8- Maximise and use all available storage space. In many kitchen islands, the void in the middle is an often unused and un-accessible space. Make use of this void by storing appliances that you do not use very often, and that you do not need to reach for everyday. The cupboard doors may be hidden behind the breakfast bar stools, but they are very easily accessed as and when needed! 9- Neatly store cookbooks and recipes within easy reach. Open shelving in a kitchen island provides the perfect space to store cookbooks and recipes, within easy reach at all angles too! 10- Create a Freestanding Kitchen appearance. A Freestanding kitchen is a very traditional kitchen style, and one that can be replicated with a raised kitchen island. Are there any other kitchen island design ideas that you are considering? Please let us know in the comments!